What drives transformation? a sucre / bitter caulderon of fear? A wrenching cliff of uncompromising tragedy? The sheer squamous epithelial and yet permeable giddy gas of love? how about DNA or fate? 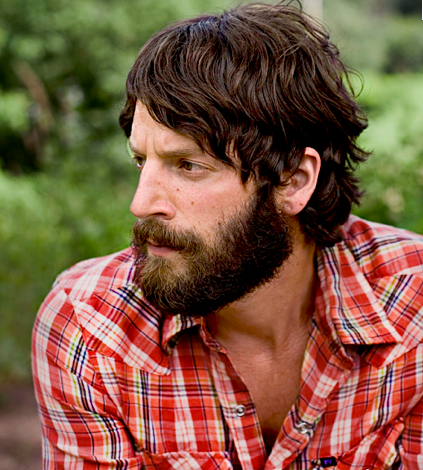 In the amazing case of Ray Lamontagne, it was all of those things and more. I was inevitably late to the game due to cold oatmeal sitting on my table, math papers to help with, and photographs to re-touch and post for market (yes I do some stock photography)…I had only heard, correction been yelled at, whined at, and threatened by a good friend to have a listen to Ray Lamontagne for a couple of weeks, but trust…it was a long and wincing two weeks. It wasn’t that I wasn’t interested in learning about my friend’s “avant-auteur voice of a million years ago happening right now in our backyard” per se, I certainly was, But things were getting in the way, one of which was the stomach flu I was stricken with, my body laden with oatmeal the only food item that I could keep down in the safe regions of my stomach. The night after my body had resumed homeostasis, and my children stopped comparing me to the zombie app that they had just downloaded onto my now idle iphone, I decided to put my toes in the provervbial water in order to test out the heat coming off Mr. Ray Lamontagne with a cover of the well known Gnarls Barkley, “Crazy.” I was aghast. Loving the song was easy again, now that I hadn’t heard it in oh, say about 6 months, but what astounded me was Lamontagne’s voice. Never had I heard such as voice. This voice was audio HDR. A sharpened image with nuance and texture that was unlike anything I have ever heard before. A raucous pleasure of sound languising in places that were meant to be exploited and quiet in places that only shone more brightly for their omission. La Montagne is a young-un. At least to me. Born in 1973, Ray had an uncompromising and less than idyllic childhood as the story goes. His father musical and violent turning LaMontagne inward, writing and fighting in his Utah high school. Later working in a shoe factory. The story goes one morning at 4 a.m., LaMontagne heard “Treetop Flyer” by Stephen Stills and wtih an epiphanous decision decided to pursue his singing and songwriting more fully. Amassing 10 songs for a demo he was soon opening for acts such as Jonathan Edwards and John Gorka. .He recorded his first album for RCA in the US and Echo in the UK. It’s trickey when deciding what genre to put Lamontagne in. So far, he’s been labeled folk, but I’d have to add a genre for truth / varied instrumentative / emotive. The man reeks of past trouble, tragedy, introspection, sunshine and immersion from pain into foot-stompin’ soul music. If Ray comes to your town, don’t miss him. I won’t. Beg, borrow or steal to get there. It promises to be cathartic. DRESSES MADE WITH CONDOMS! AMAZING and CREATIVE!!! Models parade in outfits made of condoms during a fashion show at the 4th China Reproductive Health New Technologies & Products Expo in Beijing July 11, 2007. Condoms of all shapes and sizes were used to make dresses, hats and even lollipops. Models fought through extravagant soap bubble special effects to show off tight-fitting wedding gowns, scaly-looking evening dresses, outrageous bikinis and other garments made entirely of condoms. The show was held at the Fourth China Reproductive Health New Technologies and Products Expo and organized by China’s largest condom manufacturer, Guilin Latex Factory, to promote the use of condoms in the fight against HIV/AIDS. It also marked World Population Day, organized annually by the U.N. Population Fund. THE BIKE WILL SAVE THE WORLD!!! …and Amazing stories of Car-less people. I’m thinking the bike will save the world. Think I’m crazy? Maybe so, but I think they are an important piece in the puzzle of community happiness. Think this a ludicrous statement? I personally don’t think so. Let’s look at where where we are now and what our obesity and depression rates are and then come back to the table and talk. What tribe chose this place anyway? Most of us in the major cities located in The United States actually live in or strive to live in the suburbs. With very little critical thinking beyond the concern for our supposed safety, playing a role when we chose our domicles. We chose these developed un-healthy, semi-functional, in some cases ultra-private living territories we call “suburbs,” “Gated communities” “ranch developments” “estates” etc. “neighborhoods” or “just plain housing tracts.” These all function within and are part of the “sub-urban” experience. To live in a “sub-urban area” means to live below or “away” from the urban or “populated” area. Nevermind that the syntax became de rigour somewhere around 1982 thanks to a little more than “B” movie starring Tom Hanks and Carrie Fisher., but what were we trying to get away from? People whom we deemed untrustworthy? people of questionable influence? the freeways? the real or perceived crime? Some would say yes. Yes to all of it. Nevermind that now ‘The “burbs” have become as heavily populated as those unfortunately shunned seemingly lower class urban areas. The ‘burbs’ still holds it’s nose high and carries on with it’s air of self importance. It smacks of faux privacy and self importance. The children of those tribes that migrated to the burbs after making it in the city or coming from rural areas as farmlands went bust, were sold or went corporate, are all grown up and quite tired of the sleepy nonchalance, ultra privacy and ultimate disconnection that is ‘the burbs.’ They are taking on the city and it’s unpredictability, it’s surprise, and yes it’s grittyness. That means the people, the streets the problems and the promise. They are concerned about connection over privacy and in walking instead of driving. Yes the city is congested at times and that is where bikes come in. Agile, easy to fix, store and wildly real with the wind in your hair, people are moving about around you. Journeying in and around the city and as a result becoming healthier. Many traverse to the town center on theirs, locking them up, meeting friends purchasing the days meats and vegetables and toting a knapsack full of foodstuffs for the night’s and next breakfast’s meals. With more daily exercise be they daily jaunts into town for errands or pleasure rides carrying greater distance, the move toward abandoning those horseless carriages spewing filth into our precious air, and opting for two wheeled romance, the connection, daily movement, surprise, dichotomy and the sheer unpredictability of a riding a bike, we are poised to become healthier and ultimately happier. We know that exercise creates a remarkable increase in the ‘happiness’ chemicals serotonin and dopamine and what better natural way to keep those in balance or increase them than to ride? Bikes are being welcomed back into our lives as devices of health, wellness and symbols of personal assertiveness. Look out suburbia as we migrate back to the cities for cohesiveness, affiliation and take our bikes with us for happiness. Did you know that we are trying to solve some of our countries health and wellness issues by attacking the symptoms per se, and not the cause? Diabetes is a symptom, depression is a symptom, hatred and hate issues are symptoms of the health issues plaguing the United States. But symptoms of what? A really bad idea called ‘suburbia.’ The very structure of suburbia has given rise to our countries physical and mental aches and pains. These ‘aches and pains’ have given rise to a behemoth health care industry that is failing at fixing us and only adding to our health and wellness problems. Now the two are having an ilicit and co-dependant relationship. We need health care to fix our depression, diabetes, and obesity and yet we are becoming depressed with not having ‘access to care’ or the cost of the care and prescriptives being outlandish. How can we circumvent this circular and sick relationship? Can it be that “building community” is the answer? I am talking about “building community in a convoluted way, I am putting forth the word, “Building community’ in a physical sense. do we need a new scheme for the structure of our communities? Well maybe this isn’t a panacea, but it it might be a foundation. As we all know, It is with an interest of ‘seclusion, privacy’ and division that Suburban America is planned. But do we really connect diabetes with lack of community? (Sure it’s about blood sugar and other factors but it’s also about community, or lack of it. How about teen suicide rates as the lack of evidentiary social interaction? or how about just plain old obesity? It’s the brain-child of an ill planned practically non-ambulatory community AND the lack of evidentiary socialization. In the 50’s an agenda was born out of racial fear and tension. That agenda was to medicate it. That prescription brought us the creation of Suburbia. Suburbia kept people confident that ‘only people of a certain race and income could live near you, and that as a group of people from “the neighborhood” could circumvent intrusion and protect ‘the neighborhood’ from hooligans, noise unwanted traffic and transient people, later even renters were excluded. When ‘outsiders who weren’t ‘quite up to muster’ intruded by buying in suburbia we heard the phrase, “There goes the neighborhood” no matter what income level that part of ‘suburbia’ it was. I remember it. I think I heard my parents say it from time to time, sometimes as a joke and sometimes in seriousness as they felt that their ‘standard of living’ might be threatened. Even as mixed racial latin Americans, the phoney promise of suburbia was at work whispering in people’s ears. So suburbia brought us an exclusionary sense of faux reality. We preceived that there were lions at the gate and if we stuck together we could keep things right. As time passed, children grew and families moved in and out, civil rights were pressed and passed and some minds changed, suburbia relaxed a bit, and spread like wildfire, under the promise of “security from increasing crime.” When more neighborhoods were planned they were planned the same way. Away from freeways, away from any downtown, and in circles, or cul-du-sacs. Our people changed, the neighborhood structures did not. It serves to reason that if you are ‘secluded’ to a degree anyway that you are ‘far away from something.’ In this case suburbanites were far from everything! The doctor, the florist, the butcher, the fruit and vegeteble stand , the barber, the tailor, the school, and the park, any restaurant, bar, or place of leisure or socialization. In suburbia there is no town square. There is no ‘Our Town.” We get in our cars, burn gas, deplete the ozone layer, drive several miles to take children to school, pick them up, take them to appointments… and sit supine exhausting no calories, creating no dopamine or seratonin so easily made in the process of walking. We are static and secluded. We do not greet people in the street, we do not happen upon old friends and acquaintances which probably actually have an intentional role (in the grand cosmic scheme of things), in keeping us not only physically, but also mentally healthy. We can go for days without happening on a friend, but maybe we’ll ring one up and hear their voice. Nowadays we can look at their profile, see videos of them and communicate via print, which is a small but insufficient substitute in the matter. Dopamine and seratonin levels may rise for a bit. Until next week. Our children do not fare any better. We set up “play dates” for our kids, driving them to their classmates friends’ houses in their own suburbia sometimes miles away, only to confer with the other parent about time of pick up and food allergies to look out for. Some of us forge friendships in this scenario, but most suburbanites point to the social roadblock when asked why they didn’t stay and visit, ‘he or she is not from our neighborhood” or they invoke the mantra “well, I don’t know them that well’ If you are leaving your child in another family’s care to play, then a connection should be forged! We are no longer adept at cultivating casual friendships! Seclusion breeds atrophy! Social atrophy! Which leads to depression…you’re getting the picture. What if we could walk with our child to their ‘play-dates’? And walk back home? If our communities were structured differently with a town square homes and domiciles surrounding, we would be able to! How much better would that be? what if we saw that family from time to time at that town square, civic center or at the vegetable vendor in the town center? How much better would that be? ….as opposed to forced and tenuous intermittent socialization not initiated by people whom haven’t happened on the idea of possibly being friends in the first place? Our communities do not encourage exercise, they don’t encourage natural socialization. Our children are obese, they crave socialization, their bodies are wired to acquire this knowledge! so they join virtual worlds, sims, Facebook, MySpace, online gaming etc. . Evidential Exercise and Natural socialization are two of the major components in happiness, health and wellness! and most of America’s current suburban communities don’t afford us those ideals. In ‘Connected communities the din of hate and prospect of hate crime is squelched via the natural growth of tolerance, experienced as children grow up with a variation races and personalities. The sound of the absence of these cultural needs is deafening. But we are so used to the sound that we no longer hear it! We see the problems the absence of these ideals has created but we medicate ourselves and the symptoms. Some of the ways we medicate the symptoms: We need more exercise, we are beginning to see signs of diabetes and have gone past the limit we said we’d never ‘get to’ with our weight. So…we buy a Wii and begin an exercise routine! Since we live so far from our outlying ‘places of business’, necessary shopping, and places of enjoyment and leisure outside the home, we drive to them. But we have to account for traffic. There are many more people trying to get to their places of business and necessary shopping too! So….plan to leave our suburban enclave hours ahead of time. Do we have time to do the exercise that we will view vicariously? Most of the time, no…we do not. Do we get depressed and give up trying? A lot of people do. Can you blame suburbanites for not wanting to walk miles and miles to their first destination and then miles and miles to their second and so on? I don’t. I live in suburbia or in a semi-suburbia. Above an art colony. I am trying to get out, I am still encased. I drive to better planned communities and partake in their inclusiveness and happiness, because I know that my ‘enclave’ is not good for me or my children. Yes, I have to drive my children to school and pick them up because their schools are much too far to walk. So I am looking for a new (used) home in an older, more well-planned community in the interest in changing these very things for myself! In traveling to Europe last year i found that people in most of the towns in Europe are happier and healthier. In France, Greece, Italy, Croatia, and Spain they know not the isolation, the inactivity and yes the possible depression associated with ‘seclusion’ ‘privacy’ and ‘exclusion’. They are more fit than Wii Americans! (pun intended). European crime rates are lower and the rates of suicide make ours look like somebody’s giving out kool-aid!. It just works and Americans experience these cultures, most want to live that way. America should re-think it’s idea of community. No more whining about diabetes, depression, hate crimes, childhood obesity, let’s get to work. Let’s re-think “community” beginning on structure and focus on teaching our children that this is the root of our health and wellness problems. Let’s ask them to consider making a difference, to build better communities. We need more civil engineers, more city planners (good ones, not corrupt ones), eco-designers and builders. We need a heap of other people in ‘helping vocations’ that push the agenda of physical change in our communities forward. We won’t need more health care administrators, fat farm coaches, lap band program counselors, Chuck E. Cheese’s, fitness coaches, addiction / rehab houses or Mac Donald’s restaurants. We will build and re-build ‘connected communities’ that can’t help but support each-other in good good health, physical and mental. What is in a name? Why do we need a name? No one likes to be classified. But look at names. When we are given one, do we struggle to ‘be the name’ or do we struggle to ‘break free of the preconceived notions associated with that name? My father argued loudly in favor of Daphne instead of Christine, but my mother ultimately unveiled the longer sword and my father backed down. I am sure he assumed he would be fed to the lions if he did not, as she frequently roared. Hence, I am not a ‘Daphne.’ My father was a great reader, an armchair politician if you will, who loved Greek literature. Mother simply thought he had dated a hussy named Daphne sometime in the past and wouldn’t have it. Plus it just sounded slutty. Doesn’t it? I too am wrangled in the scuttle about names! Although going through life as a “Christine” put a bit of undue pressure on me as we attended a Catholic Church every Sunday, my dedication to Christ was implied. I was “Christine” after all! But, should we be classified? Should we give our children a name to live under? Are they strong enough to re-define the name? Have we not at all at some time said, “oh yah…she LOOKS like a Christina, or a Charles or Maria? I am afraid we have. Unfortunately a name affords another person the chance to classify you based on common assumptions associated with the name. Before knowing your nuances, your inner road map, folks are assuming your intelligence, your likes and idiosyncrasies. Yes I can choose a silly name convoluted and forced that may have markers that signify the listener as to my experential road and would simply function better in my life, but I keep the one I was given. Like an arranged marriage. A name should be given by the named I now believe, with their personal indicators the driving force. So rise up against given names!!! (After we’ve solved global warming, The Afgan War of course, and oh just about a ton of other things we’ve got on our national agenda), and decry the travesty of it all!